I make Pine Shed a stop on my way back from wine tasting excursions in Dundee. But it’s probably safer to pick it up on your way to wine country, lest they run out of your favorites – they can only smoke 800 pounds of meat at time. Since I first visited the shed, they’ve created a covered outdoor seating area with picnic tables for 60 people, plus the indoor dining room. Ramey hosted a group of food bloggers for #BlogACue and we tore through a full slate of food and enjoyed beer samplers from their 10 taps. 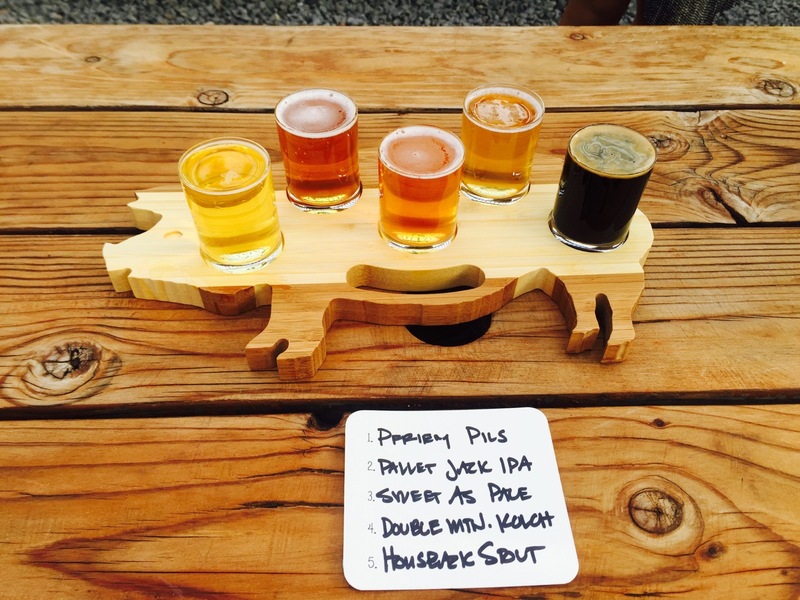 A beer sampler is available for $10 and arrives on a cute pig tray. They also have wine available. It was great to see award-winning Pallet Jack IPA on tap. 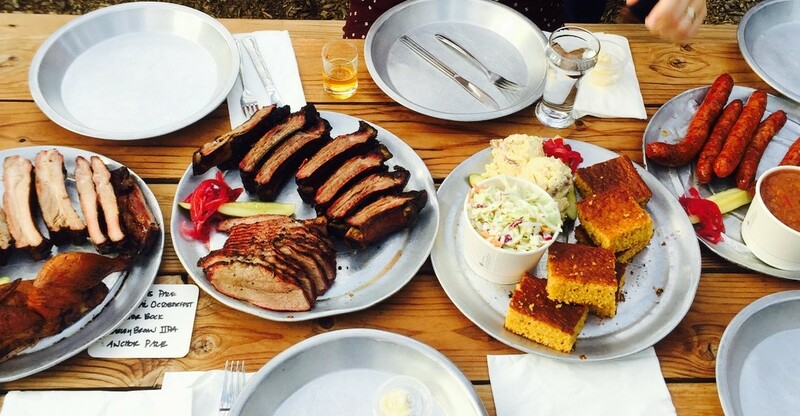 Ramey cut his barbecue teeth in San Luis Obispo. While Santa Maria-style barbecue isn’t as smoky, he gets a good smoke ring into the meat and uses local oak. 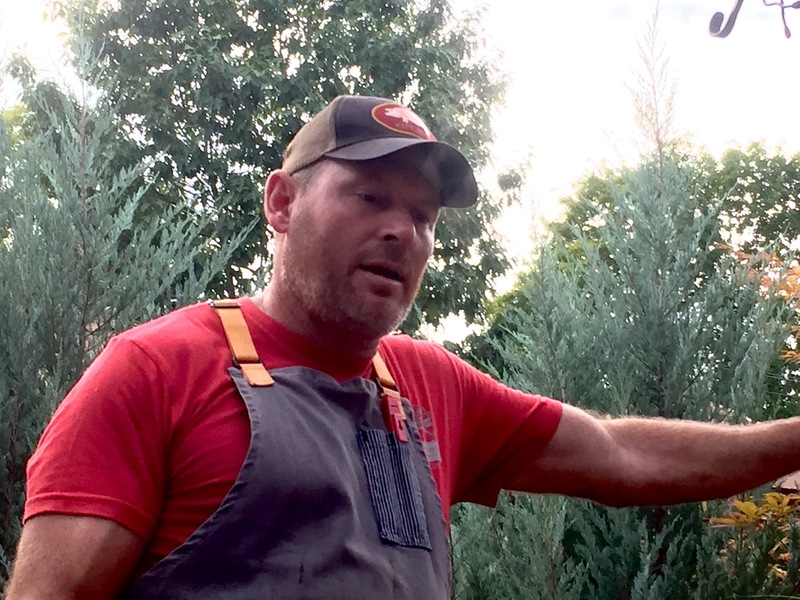 He’s been cooking it in Lake Oswego at a stand or shed since 2001 and has a big following. A couple of years back I had brisket at Pine Shed, but Ramey has shifted to tri-tip. He thinks it meets what his customers prefer for a less-fatty sliced beef. He sources meat locally from Carlton Farms, St. Helens and Draper valley. 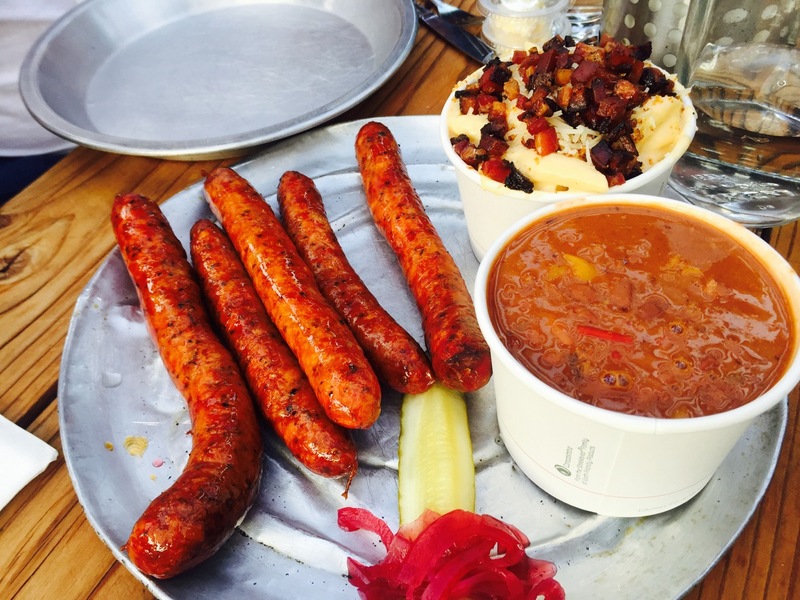 I hadn’t tried the smoked pork links before and I was impressed. It wasn’t too hot and was wonderfully seasoned. I also enjoyed the smoked chicken. The cornbread was super. Ramey says the bacon cheddar mac sells the most of the sides. 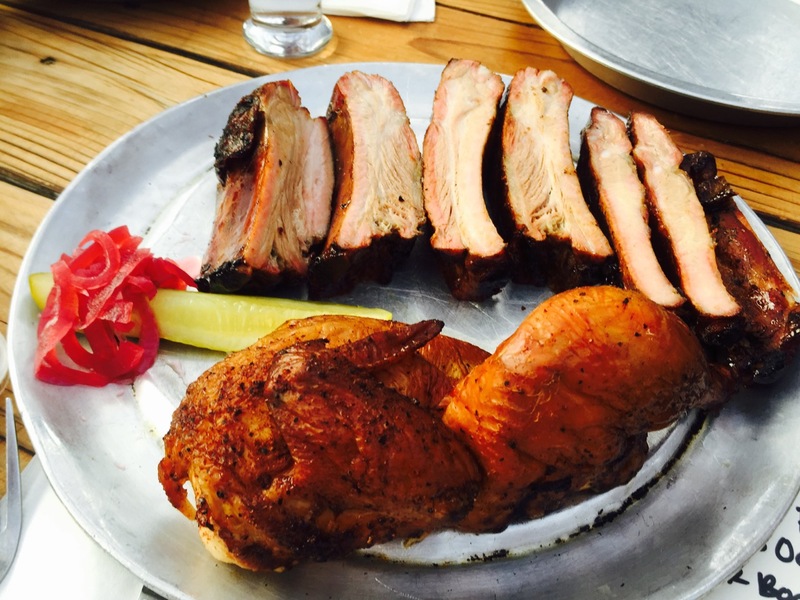 If you’re headed south on I-5 or west towards the coast or wine country, Pine Shed Ribs and Barbecue is worth the stop.